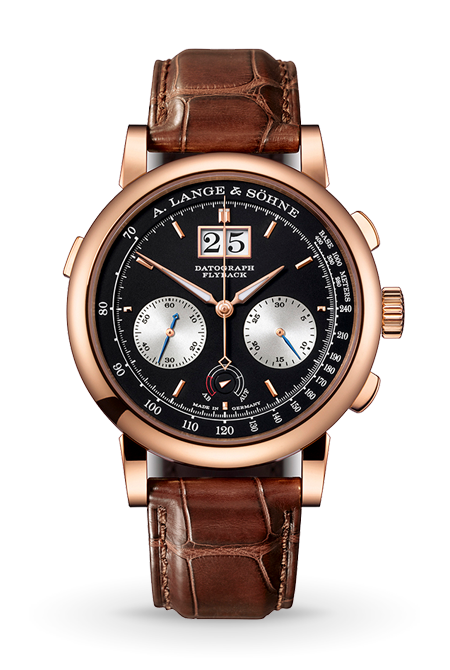 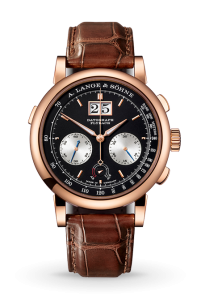 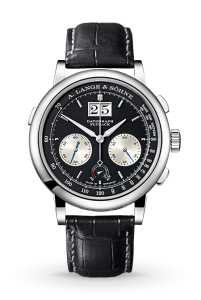 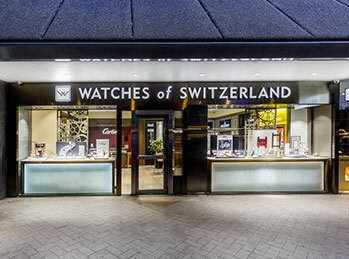 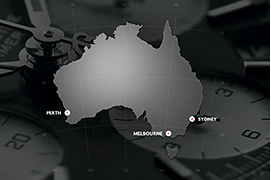 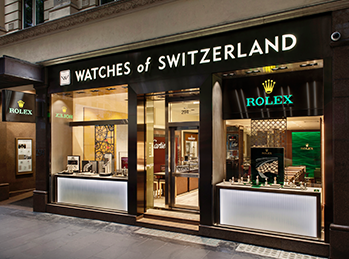 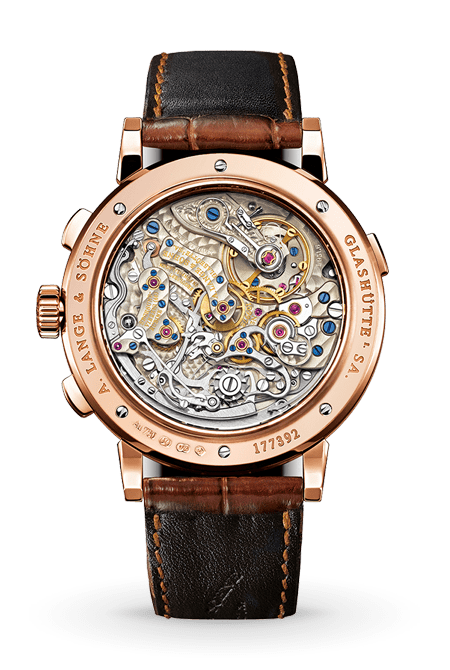 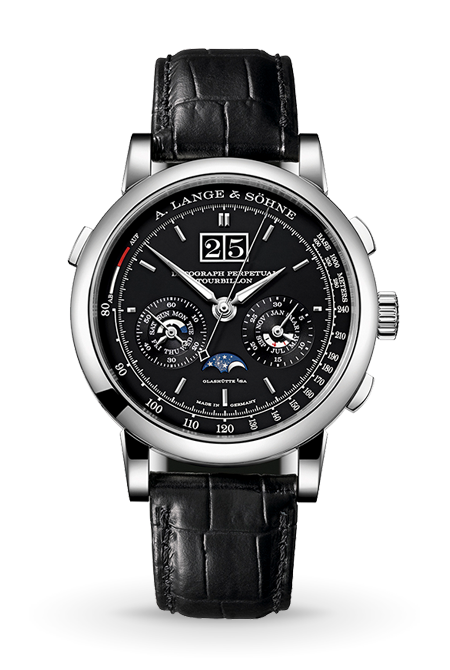 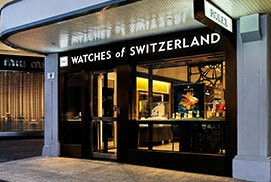 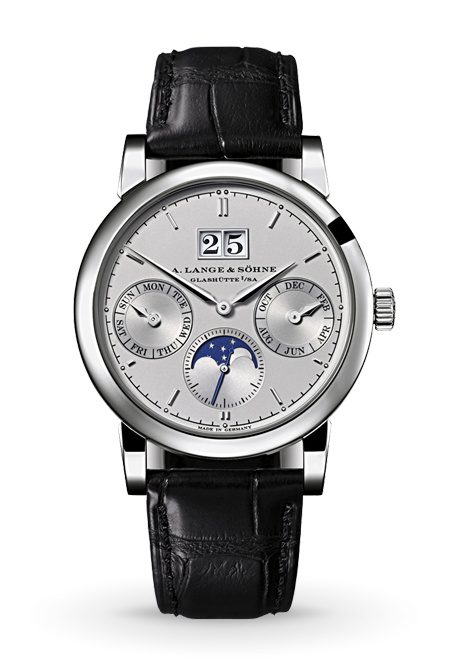 The A. Lange & Söhne Datograph Up / Down timepieces epitomize the category of mechanical chronographs with their cutting-edge technology and precisely jumping minute counters – resulting in some of the most accurate chronographs in the world. 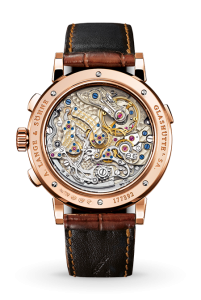 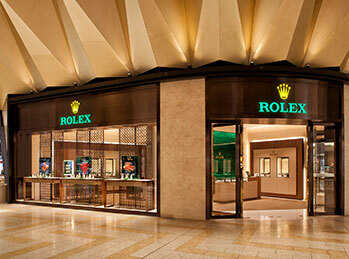 The Datograph Up/Down has slender baton hour markers in rhodiumed gold that underscore its sleek design. 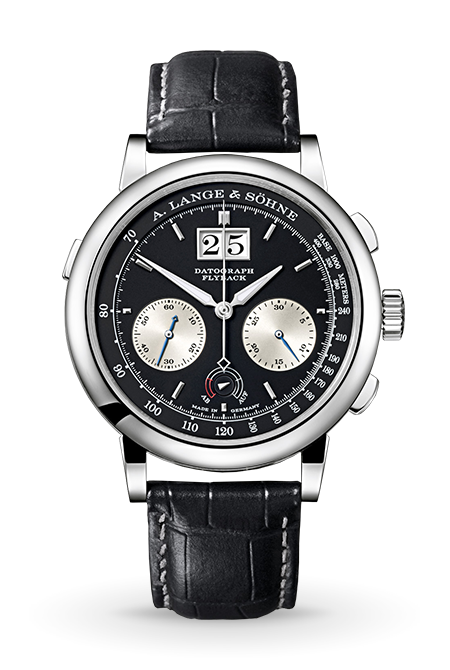 Available exclusively in platinum, this model has a power reserve of 60 hours, clearly legible with the Up/Down indicator at 6 o’clock.